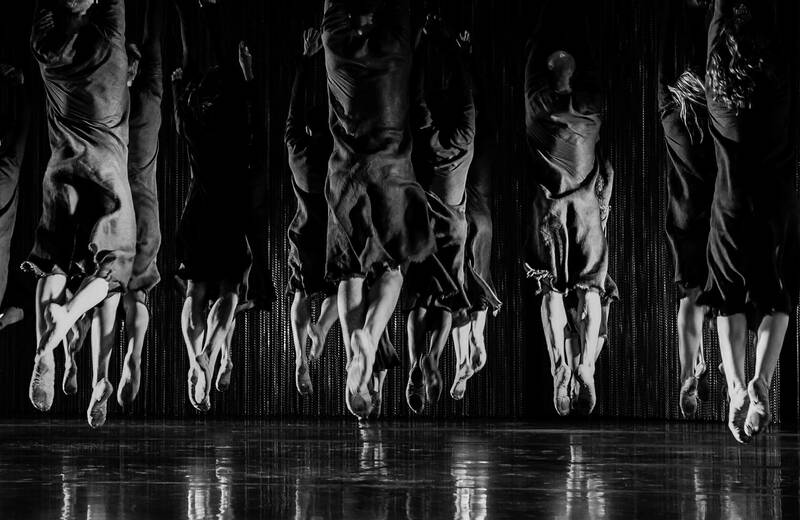 The international dance production Extremalism is a multi-disciplinary piece performed by dancers from Marseille and from Amsterdam. This large scale anniversary production crowns 20 years of collaboration by the choreographers' duo Emio Greco and Pieter C. Scholten. Extremalism is the fourth production in the series of five about the theme of The Body in Revolt and is about the way mankind responds to today's crisis. What does a body do in an extreme situation? Or by contrast, how does it survive in a very minimal setting? Extremalism is among the most ambitious and extensive pieces in the works of Emio Greco and Pieter C. Scholten. 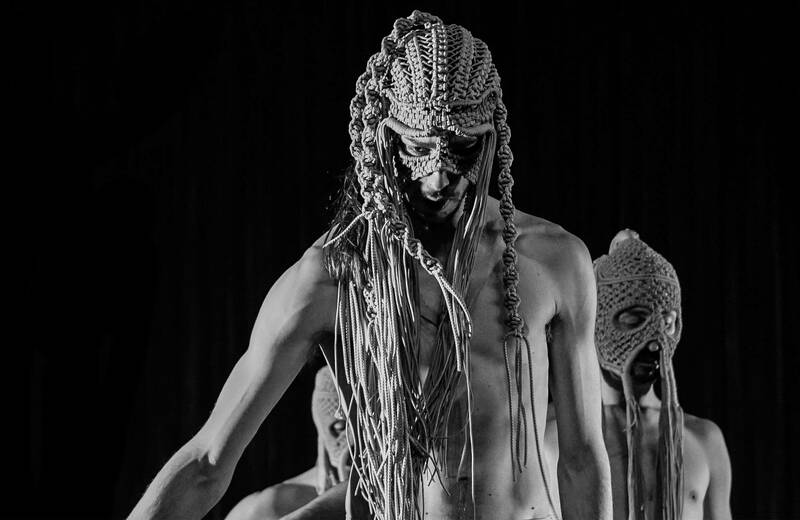 In times of scarcity and cut-backs, the piece is a celebration of contemporary dance and the power of the body. EXTREMLISM corps en révolte / lichaam in opstand from Ballet National de Marseille on Vimeo. EXTREMALISM het lichaam in opstand - le corps en révolte from Ballet National de Marseille on Vimeo. 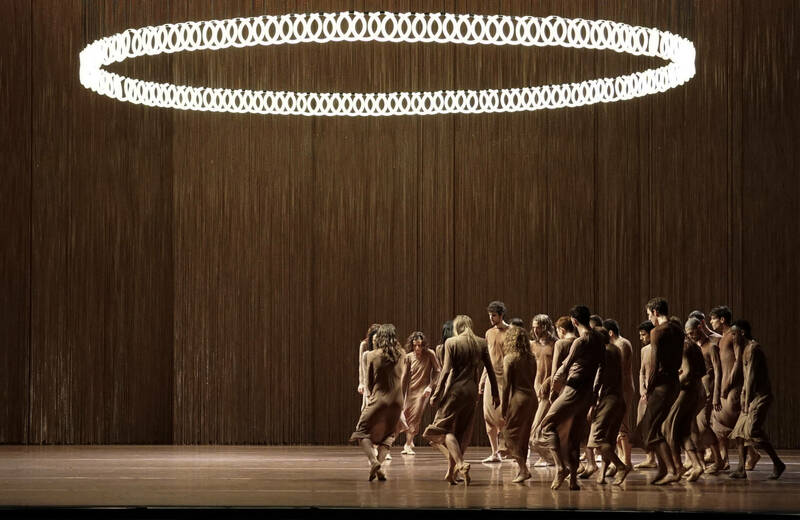 EXTREMALISM-the strenght of a creation from Ballet National de Marseille on Vimeo. 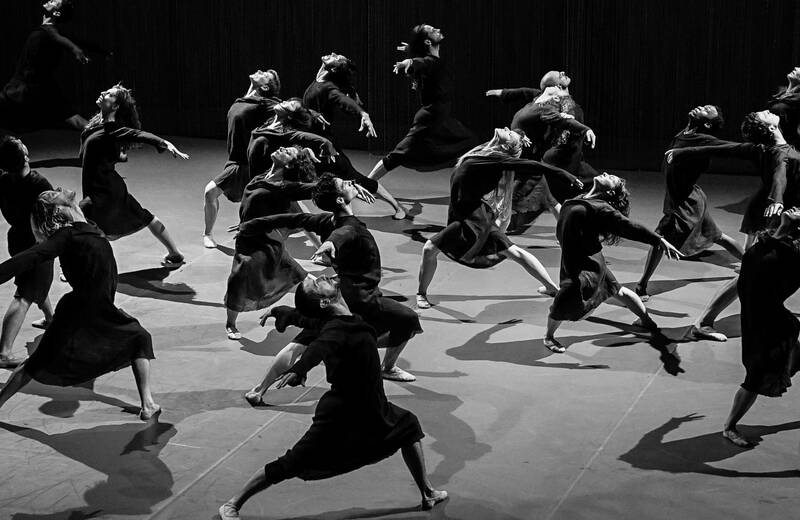 Can dance be experienced as something tangible, can it be smelled or tasted? Emio Greco and Pieter C. Scholten are constantly searching for the essence of the dance and are stimulated in this by synaesthesia: the ability to intermingle the senses so that sounds can be seen, or colours tasted. After the effort to capture the dance in a perfume with you PARA | DISO l'essence de la danse (2010) , this time it's in the taste of a coated cocoa bean. 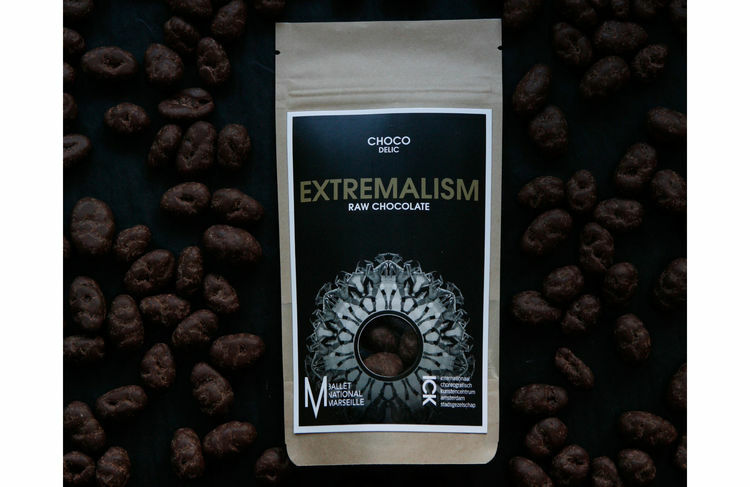 Extremalism raw chocolate: food for the body; extreme in its purity, minimal in its form.